Choosing the right moving team for a smooth and successful move makes all the difference! 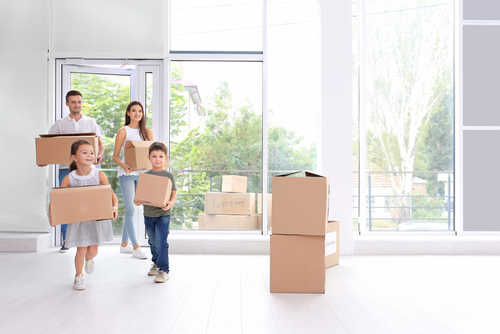 Moving into a new home itself is already stressful as it is, but it doesn’t have to when hiring the perfect team of movers that make the transition a breeze. The shift into a new place should be exciting and you should be confident when bringing a qualified moving company on your journey. There are many factors to consider when entrusting a team with your life belongings, so here are some key tips to follow when searching for your moving squad! It’s important to trust the people that will be transporting your property and valuables. Take your time to do your research! Do they have a legitimate website with positive testimonials or reviews? If you’re moving to another state, verify the moving company’s US DOT number and MC number, which is a license number required by the United States Department of Transportation that authorizes the company’s legally to transport household goods. 2. Get everything in writing! It is required by federal law a moving company presents you “Your Rights and Responsibilities When You Move” form. Also, if you’re not getting your estimate in writing, the company is most likely not professional. Look over your paperwork and estimates for hidden charges and large deposits. Valid moving companies ask for payment when the move is a wrap. 3. Are you overall comfortable? Trust your gut feeling. While doing a walk through with the estimator pay attention to their professionalism and respectability. If they’re listening to you and asking the right questions, it shows their attention to detail and interest in doing quality business with you.